Brooklyn rapper Tekashi 6ix9ine has pleaded guilty to nine counts in his criminal case and will cooperate with government officials, court records show. According to documents, the rapper plead guilty Saturday, but court records were sealed. Prosecutors applied to unseal the documents Thursday. The motion was granted Friday. 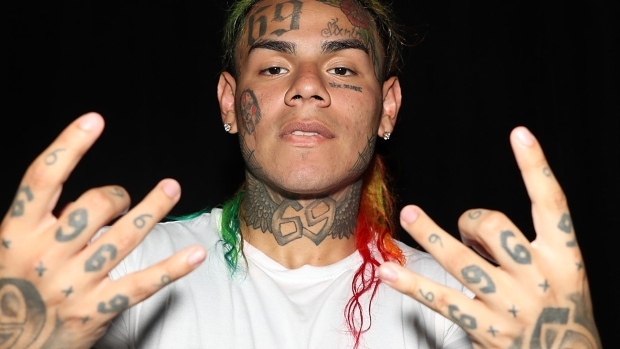 6ix9ine will cooperate with federal officials "against multiple violent people associated with the same criminal enterprise of which he admits, or will soon apparently admit, being a member," according to court records. 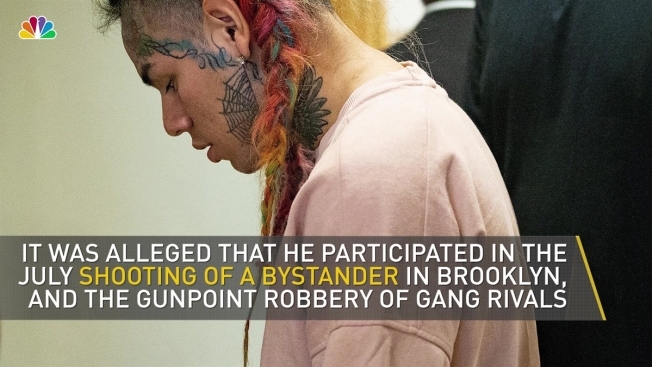 6ix9ine was arrested last November, among five people charged in an indictment containing racketeering and firearms charges. The indictment alleged that he participated in the July shooting of a bystander in Brooklyn and the gunpoint robbery of one of his gang's rivals last spring. The rapper was specifically charged with one count of racketeering conspiracy, one count of firearms offense - racketeering conspiracy, three counts of violent crime in aid of racketeering, three counts of firearms offense and one count of narcotics trafficking. According to court documents, the rapper and other associates are allegedly part of the Nine Trey Gangsta Bloods, "a criminal organization whose members and associates engaged in, among, other activities, acts involving murder, robbery, and narcotics trafficking." Prosecutors say Nine Trey operated in and around Manhattan, the Bronx, and Brooklyn, New York. In November 2018, defense attorney Lance Lazzaro said in a previous statement that his client was "completely innocent of all charges." "An entertainer who portrays a 'gangster image' to promote his music does not make him a member of an enterprise," Lazzaro previously said. Originally, on Nov. 26, 2018, the rapper pleaded not guilty to federal racketeering and firearms charges he faces at which point a pretrial conference was set for Jan. 22 with a trial date of Sept. 4.